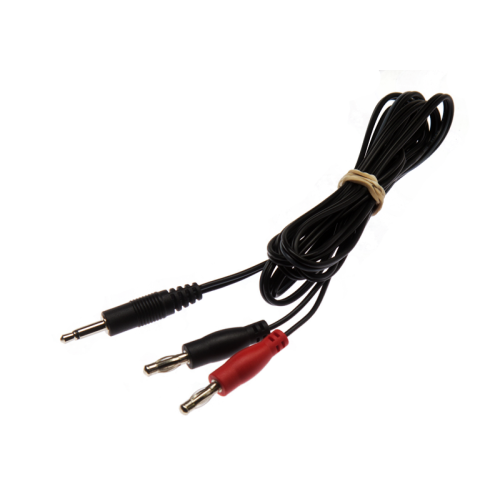 The E-Stim 4mm Cable is moulded with a 3.5mm mono jack plug and two colour coded 4mm plugs. Connects your E-Stim attachments to E-Stim power boxes in addition to control units for Folsom, PES and ErosTek. This cable is available in two lengths, the standard measures 1.5M in length or the long is 4M should you require greater reach. Comes with an E-Stim systmes 3 month guarantee. Metric 3.5mm jack plug with two 4mm plugs x 1.5M (standard) or 4M (long) cable length.